To clarify, the extension in ADS is like XEvent Profiler in Management Studio (which also is built using Extended Events). The name “SQL Server Profiler” is confusing, as this is not the same tool (UI) that’s been available since SQL Server 7.0. To install the extension, click on it, and then select Install. Once it’s installed you can select Reload and it will move into the top half of the window under Enabled. Notice that when you select the extension, information about how to use it also appears. The events in the Standard_OnPrem and Standard event sessions are the same. The events in the TSQL_OnPrem and TSQL event sessions are the same. The Standard_Azure event session cannot be created for an on-premises installation – it will silently fail. 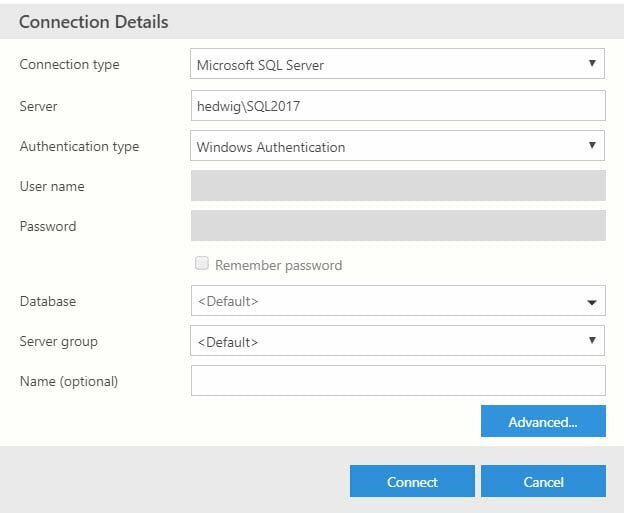 Once you select the session you want and select Start, a new window opens which is like the Live Data Viewer in SSMS, but with options. As queries are executing, they will start to appear in the window. When you have found the information you need, you can stop the event session using the stop button (red box in image, along with Start and Pause) or you can close the window. If you close the window you will be prompted to stop the event session, which I would recommend doing. You can also change the view using the Select View drop down (blue box in image), which changes which columns appear in the window. Lastly, when you have stopped an event session, you can select a different event session which already exists on the instance from the Select Session drop down (purple box in image) and start it from the window. The Event Sessions created in ADS write to the ring_buffer target, the ones created in SSMS do not write to any target. Closing the Profiler window in ADS does prompt you to stop the event session. Closing ADS entirely does not prompt you to stop the event session. 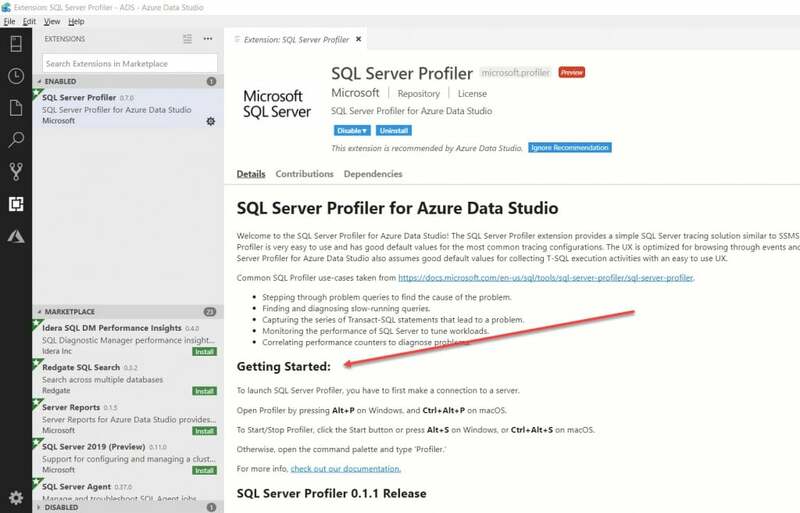 You can create the TSQL and Standard event sessions in SSMS, and you can create the Standard_OnPrem and TSQL_OnPrem event sessions in ADS, and theoretically run all of them at the same time. I wouldn’t recommend this, but if you have multiple users, be aware it’s possible. 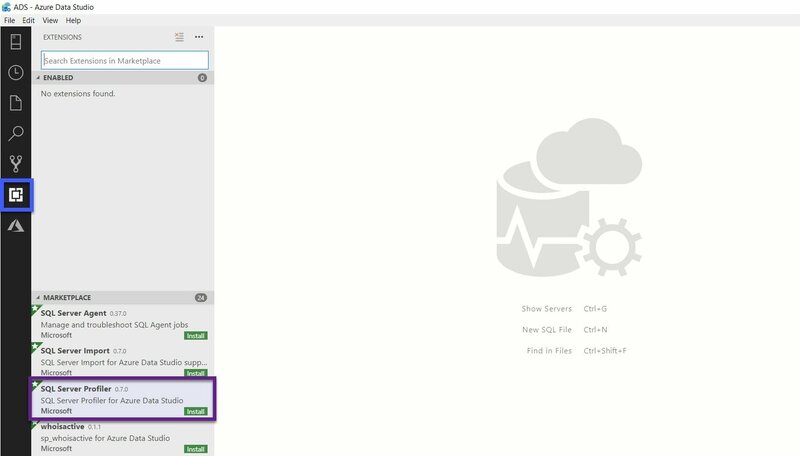 You can still create, alter, and stop event sessions using T-SQL in Azure Data Studio.